Sales of Classes 4-7 trucks totaled 21,179 units compared with 20,096 in the 2016 period. For the full year, sales were 222,790, up 7.3% from 207,694 in the 2016 period. Gains in the period were led by a 13% rise in Classes 4-5. “The growth is not quite as spectacular or as volatile as you see on the Class 8 side [up 43% in December year-over-year], but ever since we came out of the Great Recession [medium-duty] has had a slow methodical, really sustainable, growth rate,” ACT Research Co. Vice President Steve Tam said. “You have investment by businesses, so there are more things being produced, and often it is the medium-duty guys who are at play in that space,” he added. Sales of Class 7 trucks in December jumped 12.9% to 5,429 and were spread among five truck makers. Freightliner led with a 47% market share. Paccar Inc. and Navistar International Corp. were next, while Ford Motor Co. and Hino Motor Sales USA Inc. tied with 264 sales each. Class 6 sales slipped 4.2% to 5,385 in a market crowded with seven truck makers. Segment leader Ford Motor Co. was the main downward force, with sales plummeting 41.5% to 1,685 from 2,883 units a year earlier. Ford did not immediately respond to a request for comment. Freightliner was right behind Ford, selling 1,640 trucks. 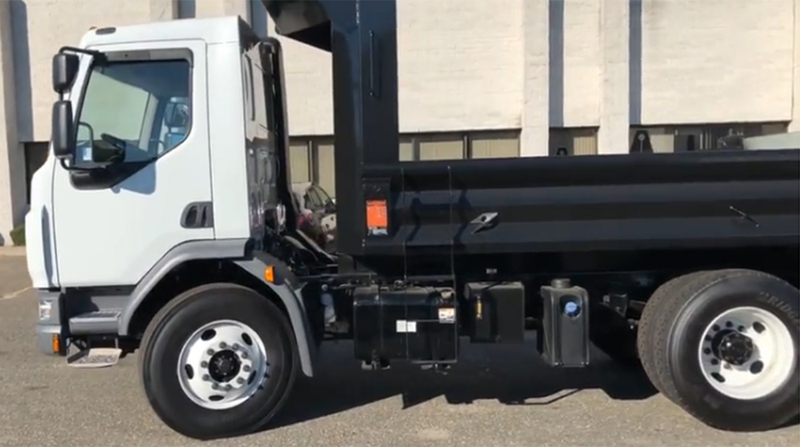 Others ranked by sales included Hino, Navistar International, Paccar Inc. and Isuzu Commercial Truck of America Inc..
Also in December, GM launched its Chevrolet brand low-cab forward truck in Class 6, selling seven. Classes 4-5 rose 7.3% for the month to 10,365 trucks. Ford led in Class 5 with a 60% market share, or 4,846 trucks. Isuzu earned a 60% share in Class 4 with 1,394 sales. Kenworth Truck Co. announced its K270 Class 6 and K370 Class 7 models now come with the option of the Bendix Wingman Fusion advanced driver assistance system. “There are certainly folks, especially in the private fleets, who understand and are willing to make that kind of an investment in the equipment,” Tam said. Wingman Fusion offers enhanced collision mitigation, lane departure warning, stationary vehicle braking, and overspeed alert and action. Kenworth is a unit of Paccar Inc.